U.S. Department of Education picks JSU for pilot program. High school students at Jackson Public Schools will be able to earn college credit at Jackson State University under a dual enrollment plan touted by U.S. Under Secretary of Education Ted Mitchell in a visit to Jackson State. During a stop on a bus tour called Opportunity Across America, the high-ranking official with the U.S. Department of Education likened opportunity to JSU because, he said, the university provides support to students who traditionally have not had access to higher education. Furthermore, Mitchell referred to opportunity as completion. 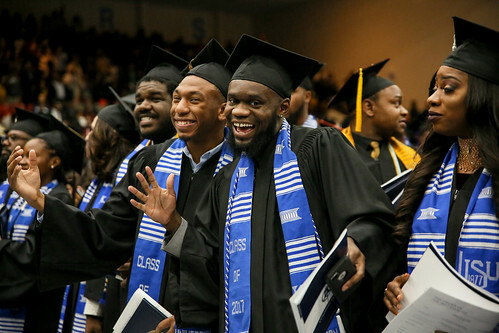 “While access is great, it doesn’t matter a whole lot if you’re not walking across the stage at the end of the program.” He said Jackson State has excelled by providing access to education, implementing cutting-edge state-of-the-art programs, and focusing in “laser-like fashion” on completion and graduation.